J. Hillis Miller is undoubtedly one of the most important literary critics of the past century. For well over five decades his work has been at the forefront of theoretical and philosophical thinking and writing. From his earliest work with Georges Poulet and the so-called Geneva School, which introduced a generation of North American critics to the concept of a phenomenological literary hermeneut… ic, to a deconstructive rhetorical philology and an ethically motivated textual analysis, Miller's readings have not only reflected major movements in literary theory, they have also created them.Surprisingly, Eamonn Dunne's J. Hillis Miller and the Possibilities of Reading is the first book devoted exclusively to examining Miller's work. 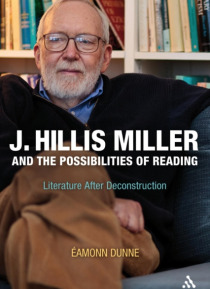 Dunne argues that an appreciation of Miller is crucial to an informed understanding about the radical changes occurring in critical thinking in the humanities in recent years. This book, the first of its kind, will be a vital and enabling avenue for further research into J. Hillis Miller's exemplary and prolific output.